Intuitive, creative and quick, Neymar Jr. has a special talent and a playing style that leaves fans speechless. His joy on the pitch and mixture of movements are incomparable. Just as football is a very important part of his life, so is the music that inspires him on and off the pitch. 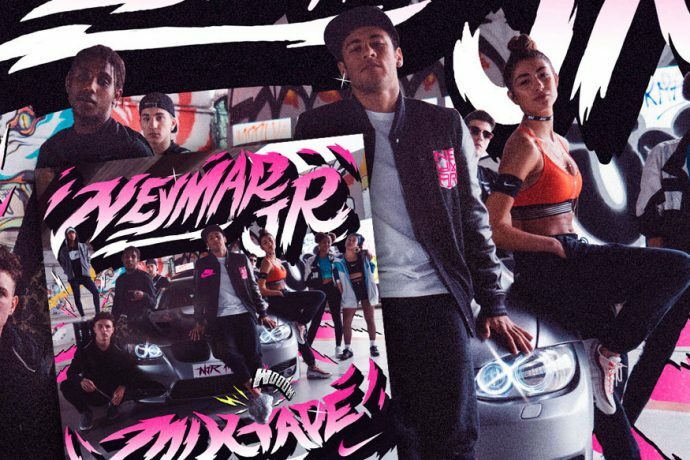 To celebrate Neymar Jr.´s passion for football and music, Nike has linked up the Barcelona artists Ernest Desumbila (director), Flavio Rodríguez (International DJ) and Ba $$ ilones (producers) to create the Mixtape Volume 1 by NJR and to produce an exclusive video clip. This unique compilation of music from producers around the world reflects the Neymar Jr.´s eclectic and infectious personality. Flavio Rodríguez brought together the talent of up-and-coming young musicians from different countries who are reinventing and remixing different styles of music. The compilation features 17 songs by artists such as Yas Weneck, StartRap and DJ Thai from Brazil; Ba$$ilones, Yung Beef, Maikel Delacalle, Bad Gyal, Indigo Jams, Afrojuice and Dellafuente, from Spain; Dark Polo Gang from Italy; Josman from France, Donae’o, Paigey Cakey and Young T & Bugsey from the United Kingdom and They and Swoosh God from the United States. A video featuring the artists and Neymar displaying some of his unique football moves complements the mixtape. The featured freestyle dancers were selected from the Tribu Urbana Center School in Badalona, just north east of Barcelona.